Nashville residents will soon get Google Fiber. Google announced plans to bring the service to Music City during a press conference at the Nashville Entrepreneur Center today (Jan. 27). The service will mean faster internet connection and television service–up to 100 times faster than traditional broadband. It is also more affordable. The service is free after an up-front $300 installation fee, or $25/month for 12 months. Access to Google Fiber will be based on community demand, so it is possible that not all Nashville neighborhoods will obtain the service. 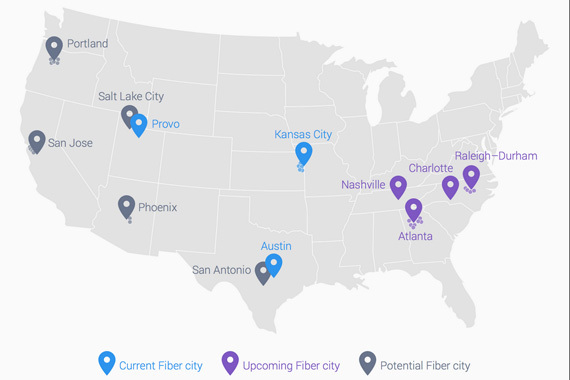 In February 2014, Google revealed that it was considering expanding Google Fiber to nine metro areas, including Nashville, Raleigh-Durham, N.C., Charlotte, N.C., Atlanta, San Antonio, Portland, Ore., Salt Lake City, and the San Jose and South Bay areas. The next step in the process is to craft the design for fiber to be installed throughout the city. Lo did not offer details on timing, though the process is expected to take several months. Nashville residents can keep up-to-date on new information by signing up for online updates.